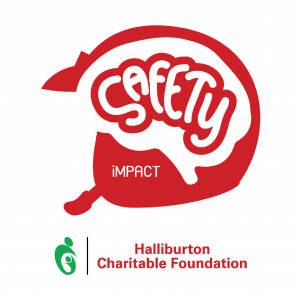 The survey found numbers of student who wore helmets increased 60%. 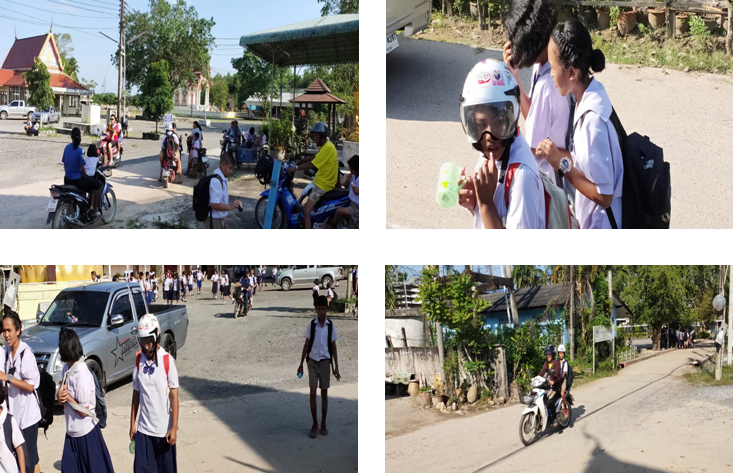 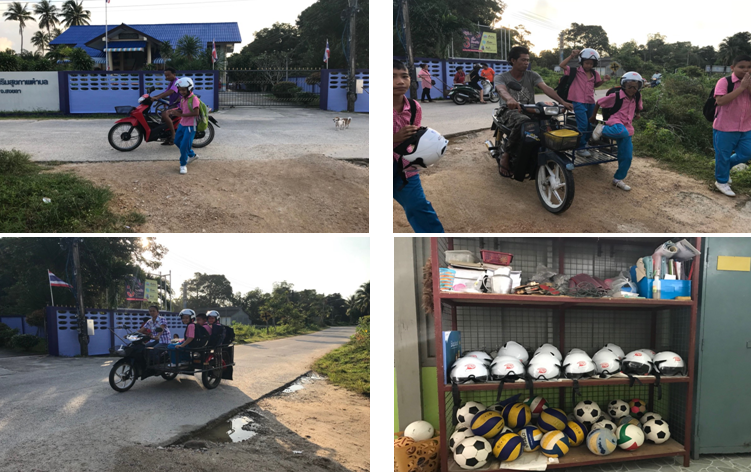 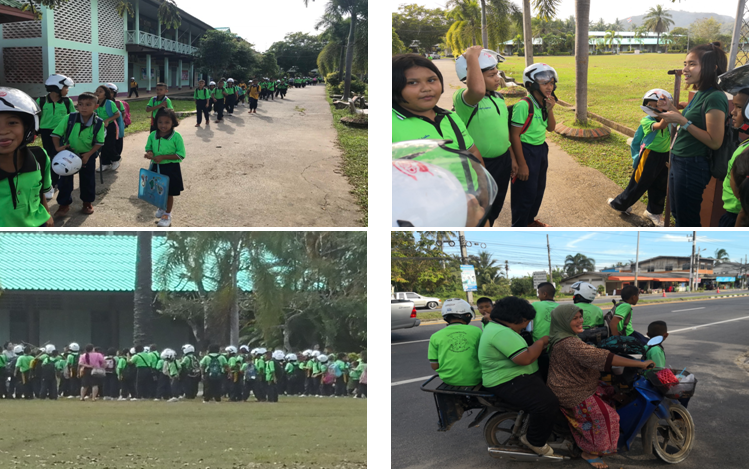 CSIP, therefore, had discussed with teachers about survey result and find ways to increase numbers of student wearing helmet to 100% in the future. 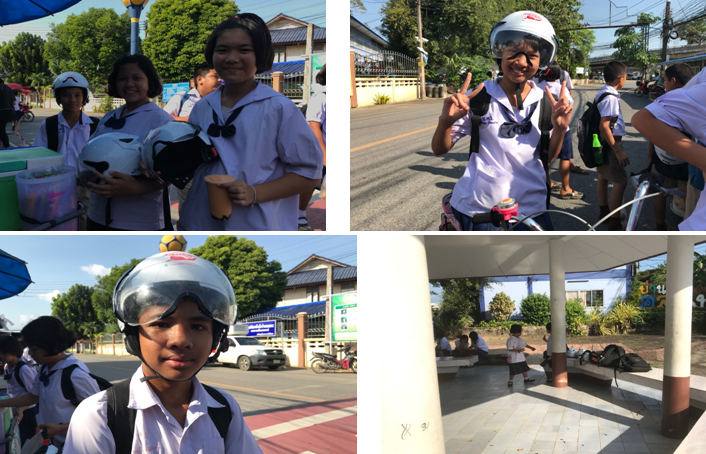 From discussion, it found several methods the school used to increase numbers of students wearing helmet prior to the survey. 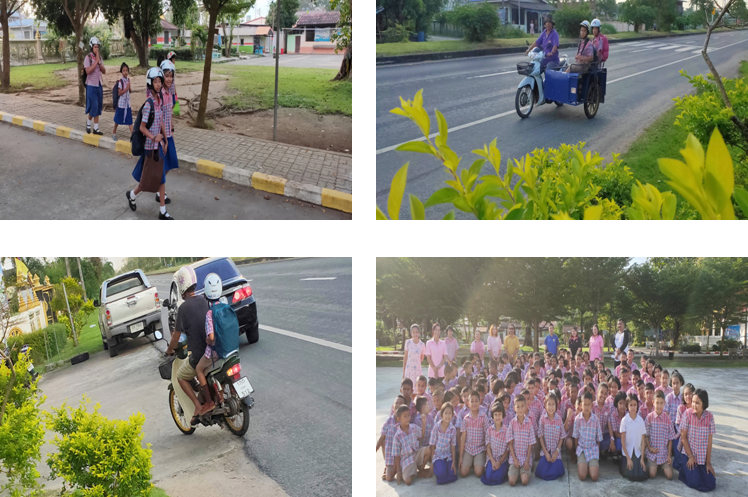 For example, teachers reminded students in homeroom class everyday, through the school radio voice every week, and in the morning assembly every week. 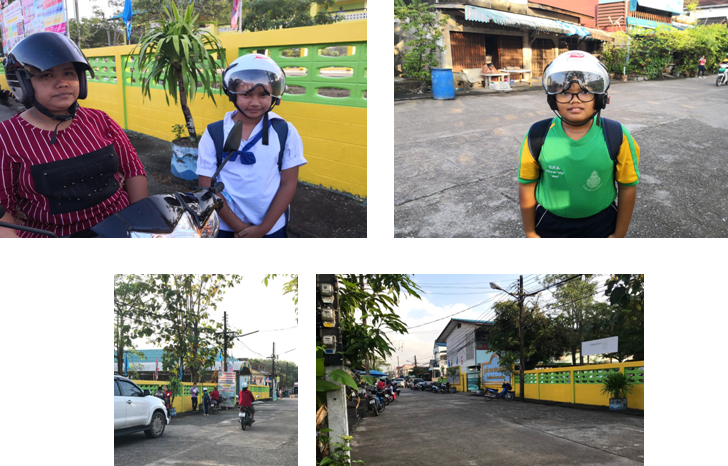 Further methods need to be done such as the record of wearing helmet on weekdays, and keeping parents motivated to promote the use of helmet. 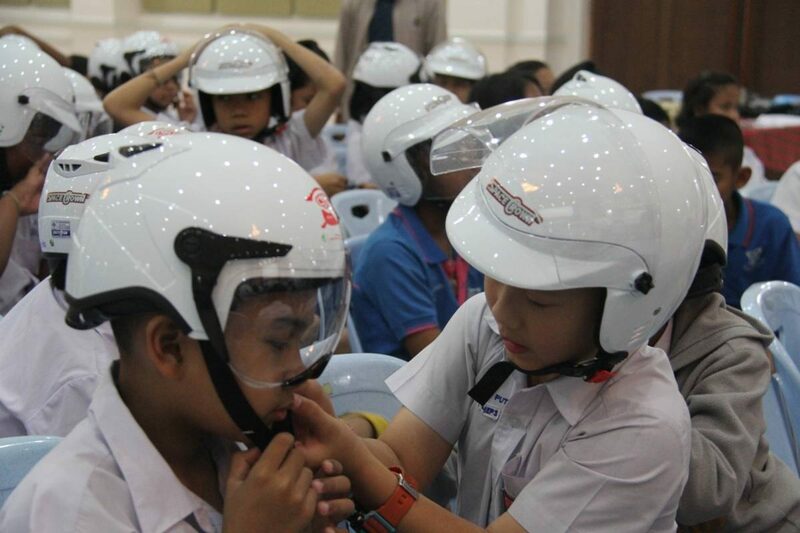 Moreover, the school carried out many other ways to increase numbers of student wearing helmet. 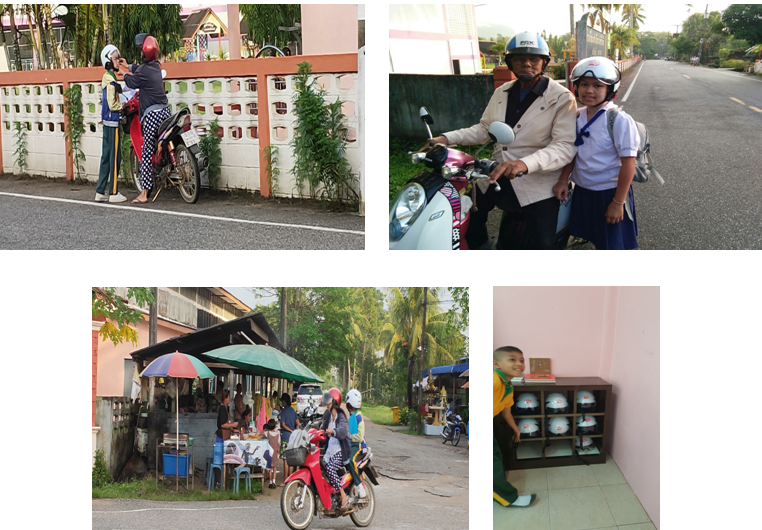 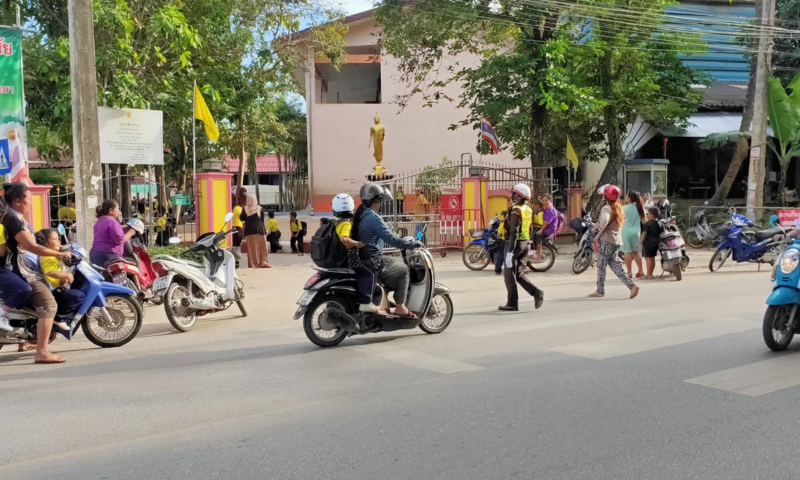 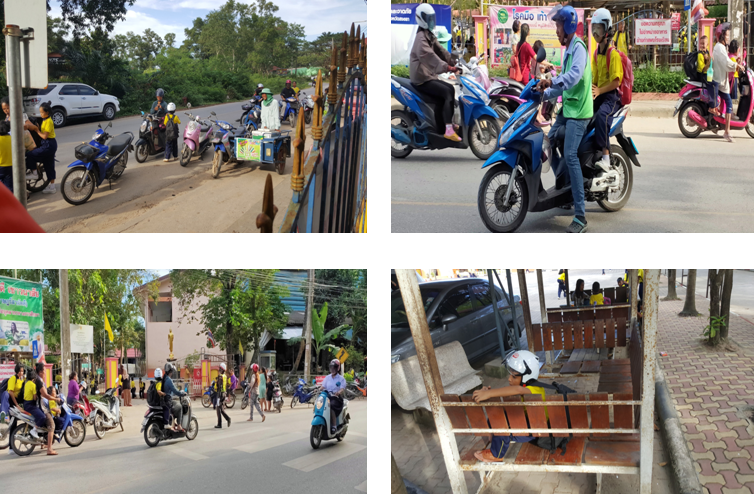 For example, teachers taking a record of students wearing helmet from Monday-Friday, doing warning signage to increase parents’ awareness attached at school gates.